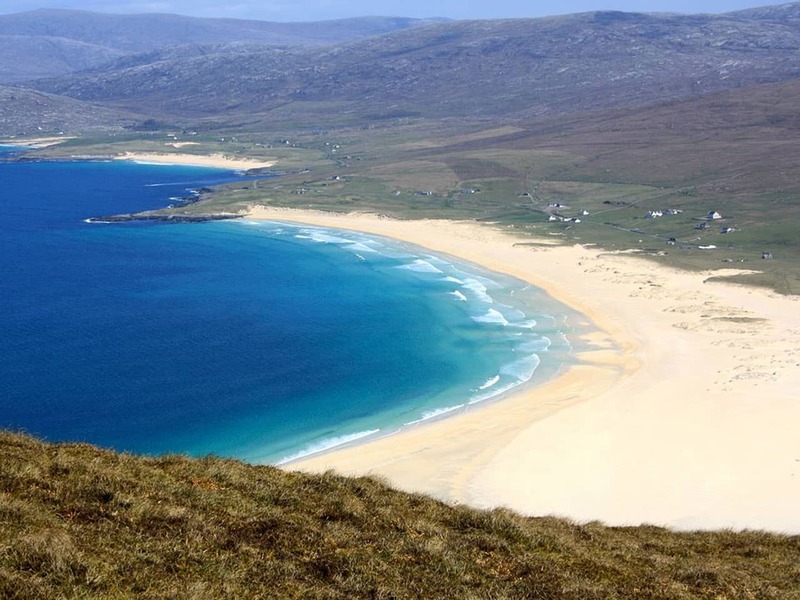 House & Gardens magazine survey voted the Hebrides number 2 in the world’s top ten holiday islands. 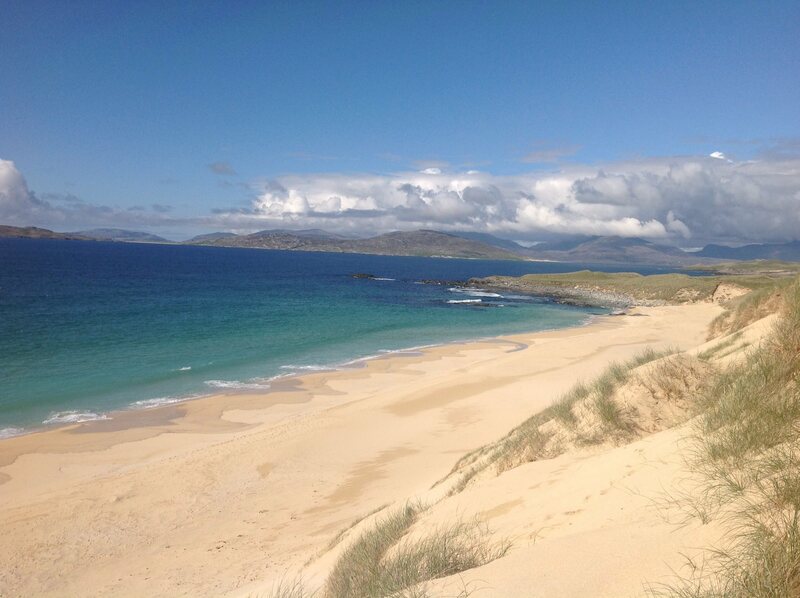 Harris is one of the most beautiful of these islands with history dating back to Neolithic times and is also a stronghold of the Gaelic language and culture. Although the west is ‘machair’ land, the east has a very rocky coastline. 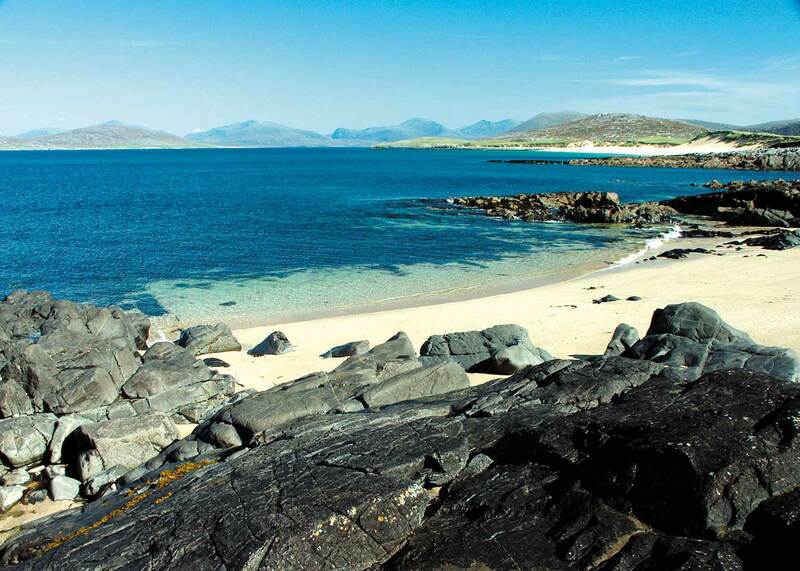 It contains 4 of Scotland’s top 10 romantic beaches as compiled by the Escape to the Edge marketing campaign. The long expanses of golden sands softly massage your feet as you walk along. 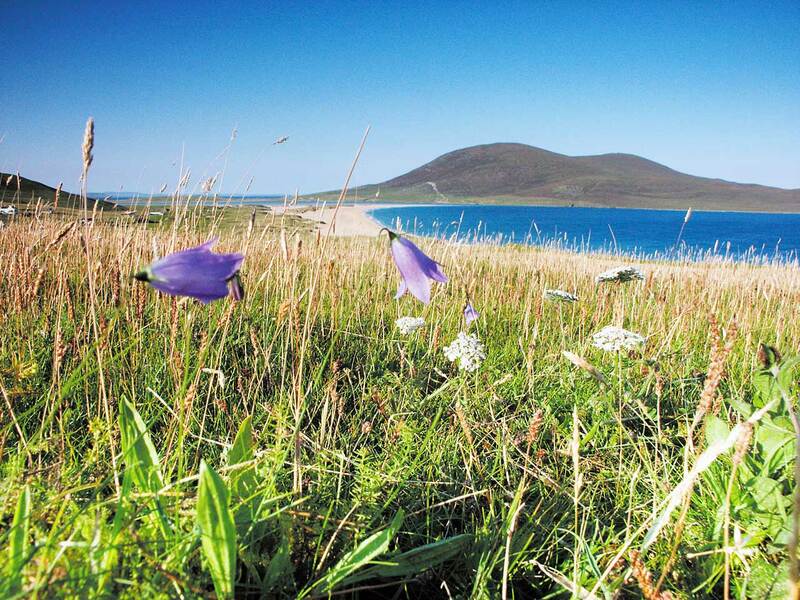 Their remote and secluded nature add to the peace and tranquillity experienced on these islands. 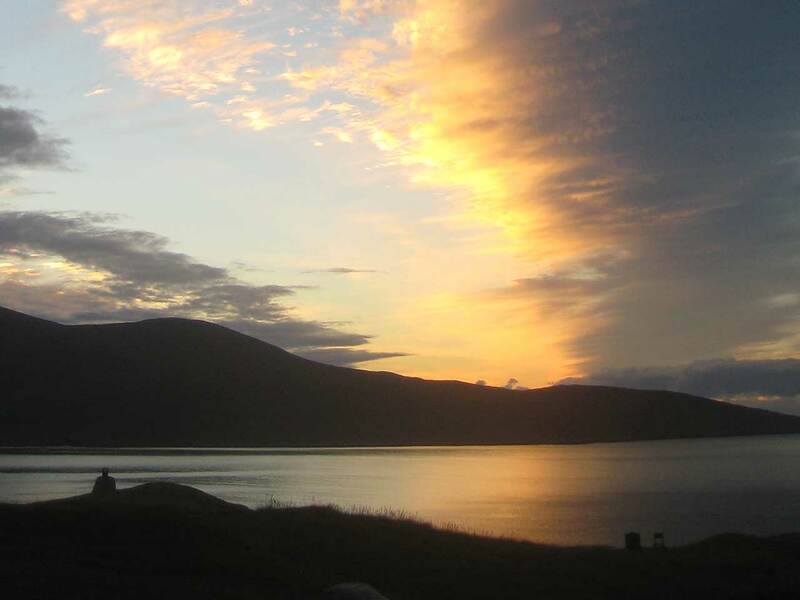 Scarista is a typical crofting village on Harris. Situated on the west side of the island, it is surrounded by the Atlantic with spectacular scenery. The ever-changing climate compliments its beauty with the varying colours that can be seen along its shores. It is also home to the remotest links golf course in Britain. 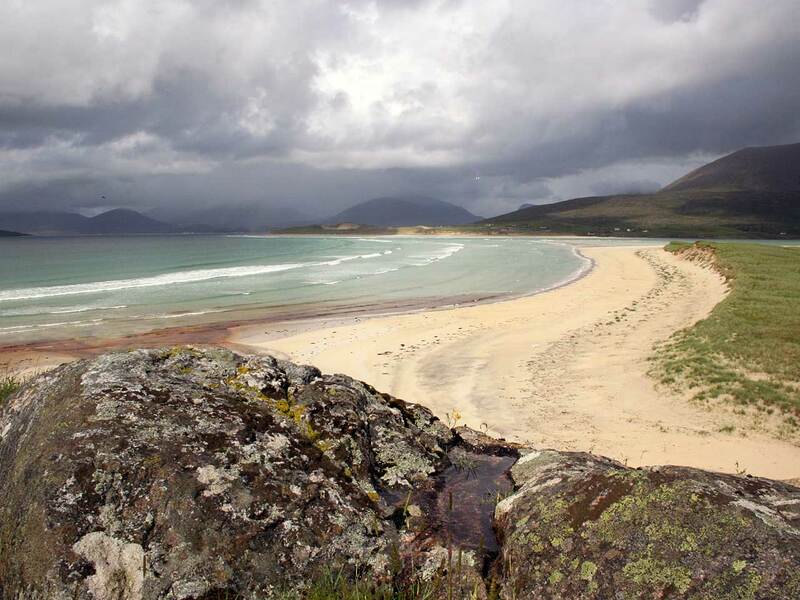 Fishing, Aquaculture and Harris Tweed are the main industries. A number of fishing villages are dotted around the coast, mainly on the east side. 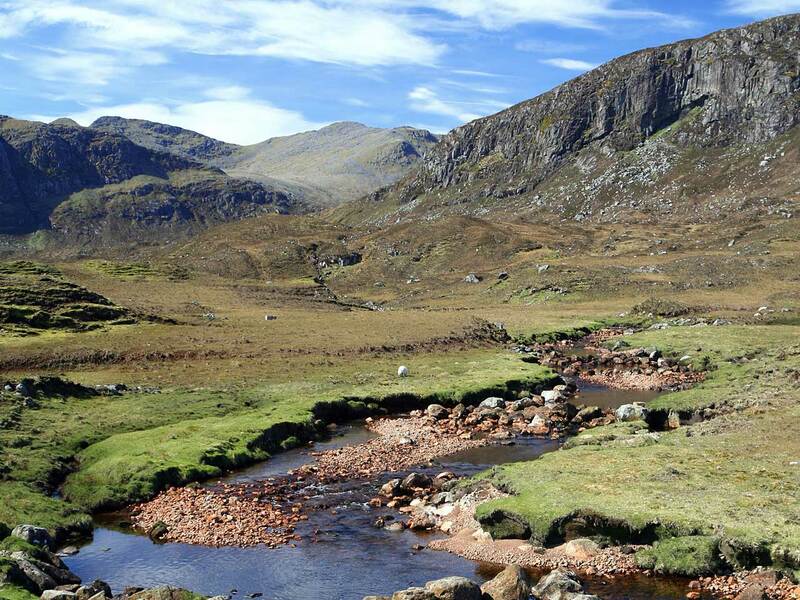 Traditional weavers still produce the famous Harris Tweed, in colours, which are influenced by the beautiful landscape on Harris. 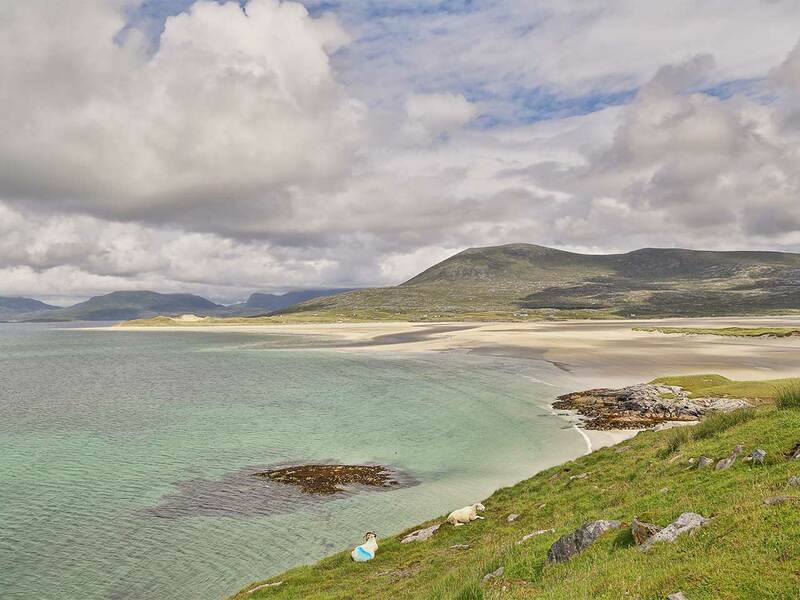 Blue Reef Cottages are located on Harris which is perhaps the most beautiful of the Western Isles with stunning beaches and an abundance of wildlife.